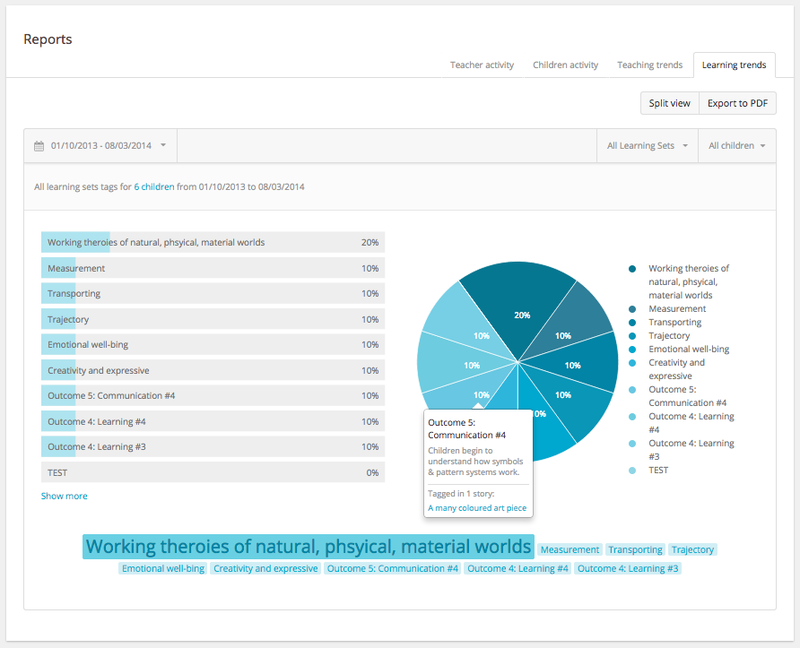 Learning trends allow you to select a time period that you’re interested in, select a child or a group of children, and choose the learning tags that you wish to review for that child over the time period. 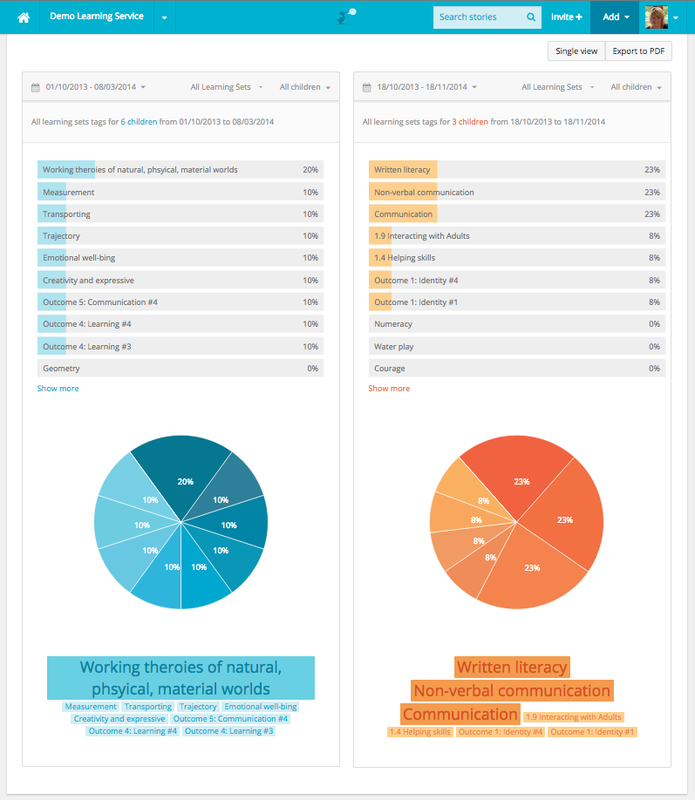 see how much you’ve been focused on different aspects of whatever learning sets you might use, eg. values, philosophies or curriculum. Perhaps you’ve been focusing a lot in one area, or perhaps there’s been no record of learning in a particular area of interest. see what learning tags have been used in a particular timeframe and highlight new tags that have recently featured. See proportionately how many times you've tagged one aspect of learning vs others. By clicking on ‘Split screen’ you’ll also be able to compare data sets. For example you might like to look at a child’s learning over the last three months vs the three months before that, or the same time last year. Or, you might want to look at what learning is happening for boys vs girls, one child vs all children, or one group vs another. You’ll immediately be able to observe differences/similarities to inform your planning and programme design for individuals or groups at your service. Use Learning Trends to inform staff meetings and group planning sessions, or for relieving teachers and part time staff so they can understand more about each child’s learning. Learn how to create trend reports here.